Everybody loves an underdog. Riding high on the Eagles stunning Super Bowl victory, the dog lovers at Source One teamed up once again to help some furry friends in need. 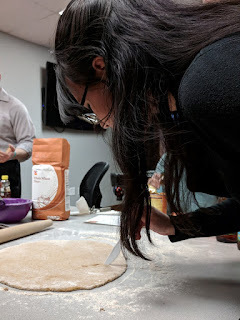 As part of their ongoing commitment to community service and volunteering, the expert Procurement team collaborated with both the Brandywine Valley SPCA and Chicago's Anti-Cruelty Society. On February 7th, the supply chain consultants from Source One's Willow Grove office baked biscuits for the area's shelter dogs. This was the second time Source One has helped support the Brandywine SPCA, and the experience once again proved both fun and rewarding. An actual dog even joined in on the action. The whole team was excited to deliver the biscuits to dogs housed in the non-profit's West Chester location. 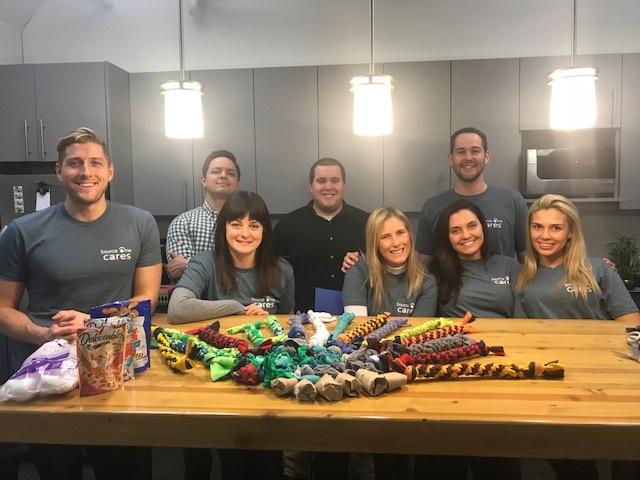 Our four-legged pals were delighted to receive weeks worth of snacks, and the Procurement experts enjoyed a valuable team-building opportunity. 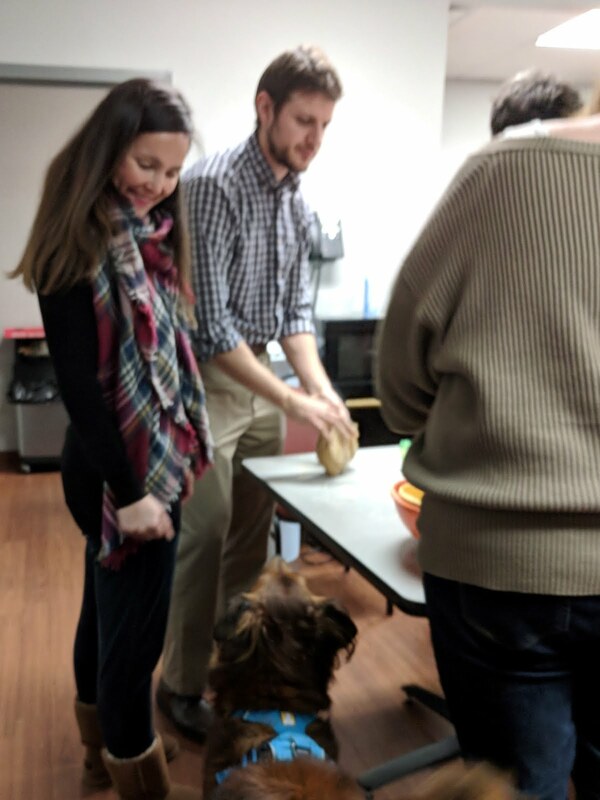 Though Source One's Chicago office sits a few states away from the recent outbreak of Underdog Fever, they were equally excited to help out pups on February 8th. 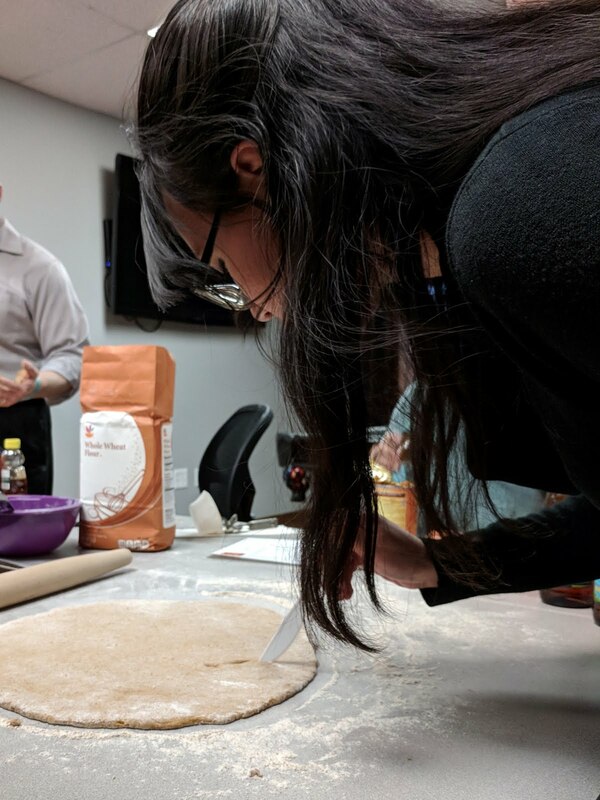 While Philly marched with their team, the Chicago supply consultants took part in the Anti-Cruelty Society's Crafting Crew volunteer program. Together, they used everyday, household items to create toys for shelter dogs. Making the toys was a great bonding experience, but everyone agreed that delivering them was even better. Both of Source One's offices always enjoy lending a hand to their local communities. As 2018 continues, they look forward to more opportunities to collaborate toward worthy causes.